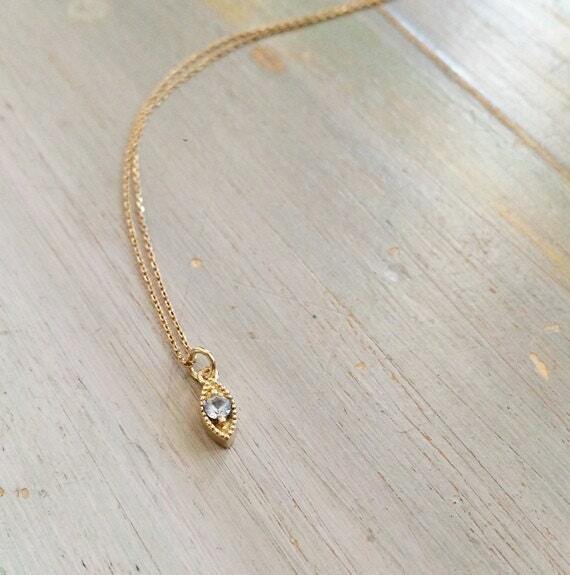 This gorgeously delicate, 14k solid gold necklace consists of a small marquise setting (measuring 7mm x 3.5mm) with milgrain details, and a small 2.5mm aquamarine faceted stone set in the middle. 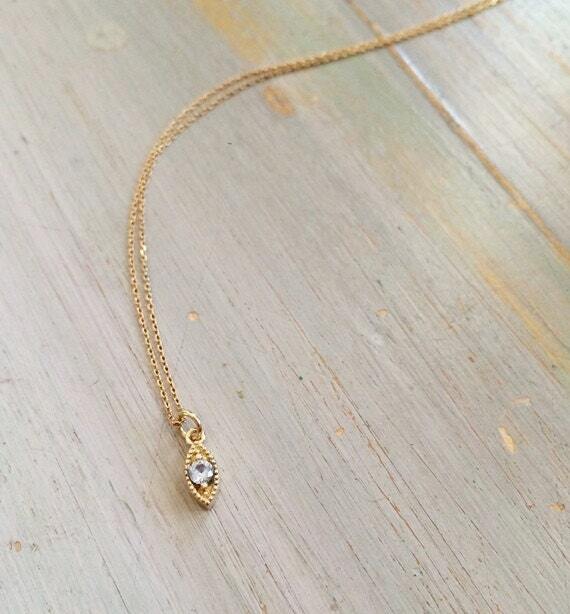 It hangs beautifully on a fine 14k solid gold, diamond cut cable chain. 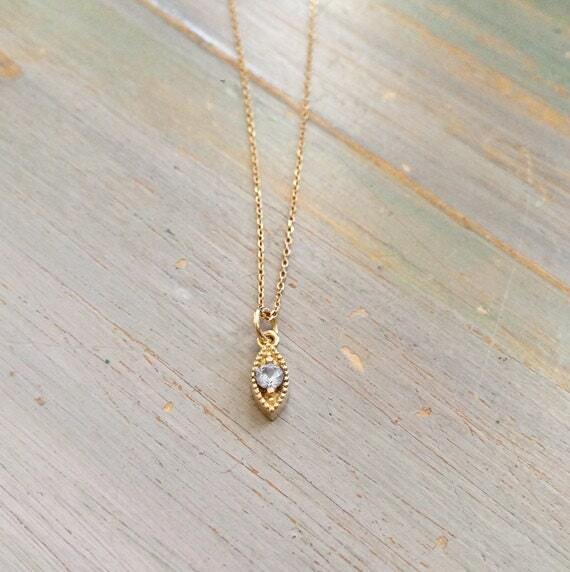 Chain width is approx .7mm and length measures 16 inches. Please convo me if you have any questions regarding this piece.